ith the work of his hands, Erich Thompson ’78 crafts hope and faith into form. 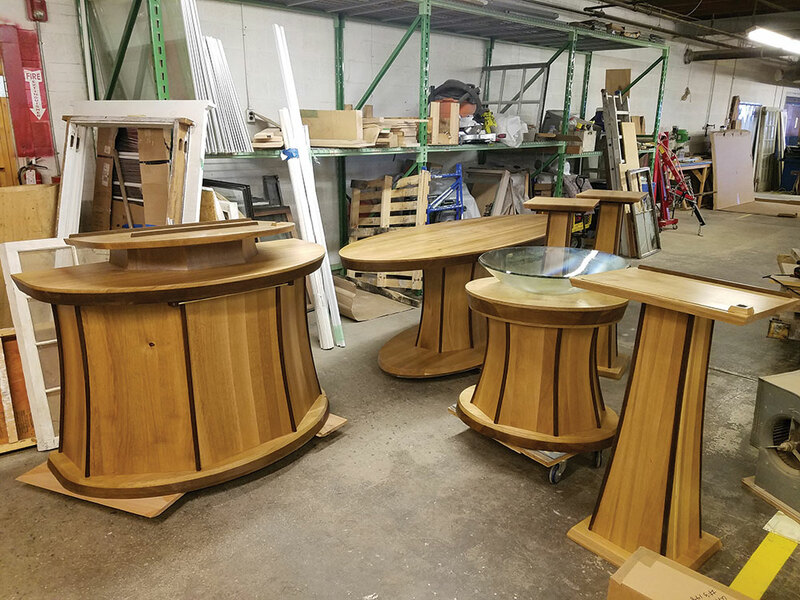 As he designs and creates chancel furniture for sanctuaries and worship centers, he aims to capture the mindset and mission of each congregation. 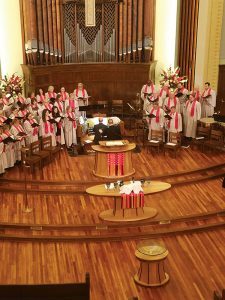 “The pieces reflect a congregation’s worship, whether or not people are in the building,” he said. 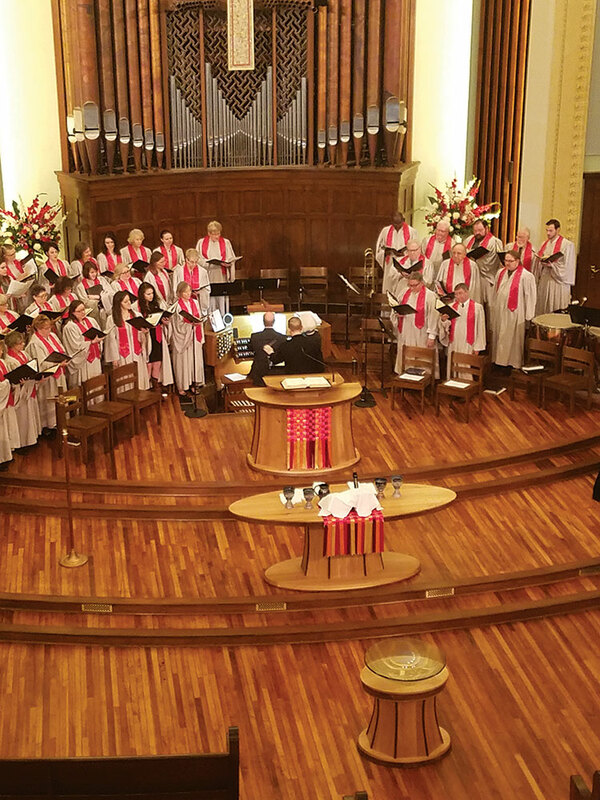 Erich earned his Austin College degree in philosophy and communication arts and later completed a doctorate at Union Presbyterian Seminary. He spent several years in ministry, so he understands the utility of each piece he creates in his shop in Greensboro, North Carolina. Woodworking had been an interest of Erich’s since he was a young boy. In high school shop class, he learned the basics. “Woodworking grows on you, and you grow into it,” he said. 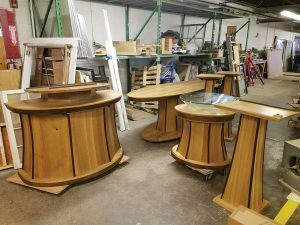 During a 1995 mission trip, his woodworking skills led to his assignment in the cabinet shop, immersed in the materials, design, and tools of the trade. 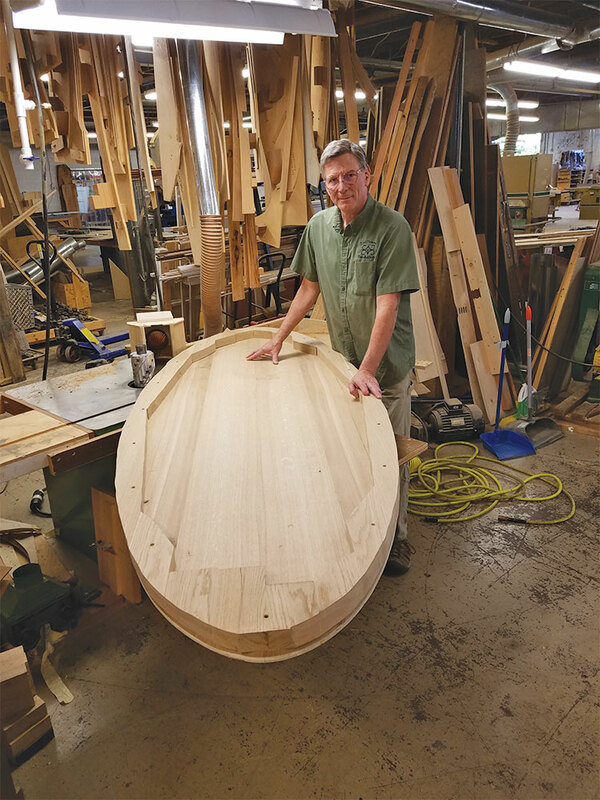 “In the cabinet shop, I was rediscovering a facility for woodworking,” Eric said. “On returning home, I found myself dreaming of pushing lumber through a saw and cutting with remarkable precision.” What had been a hobby then became a passion. Over time, he put together his woodshop where those dreams would become reality. photos and more about his ministry.